Irma – Len Bilén's blog, a blog about faith, politics and the environment. The energy in Hurricane Irma. 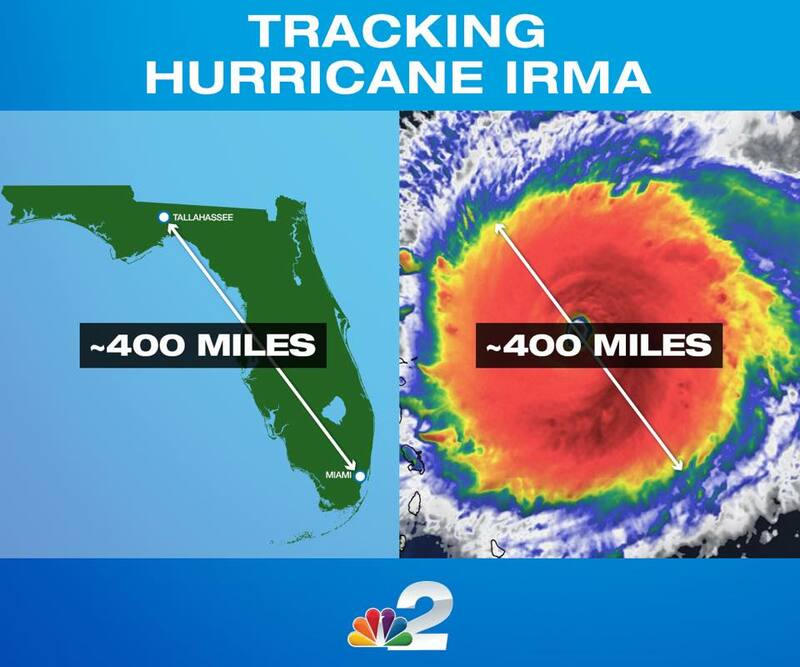 Hurricane Irma was enormous, the eye was up to 40 miles in diameter, the hurricane center core was up to 140 miles wide, tropical storm winds reached 150 miles from the center, it rained up to 200 miles from the center and clouds covered the skies up to 350 miles from the center. The eye of the hurricane covered over 1000 square miles, hurricane winds covered 15,000 square miles, tropical storm winds covered up to 70,000 square miles, rains stretched out over 125,000 square miles and clouds affected up to 400,000 square miles. A Hurricane takes energy from the ocean and releases it in the form of rain, wind and radiation into space. We measure hurricanes in categories dependent on the sustainable winds, but the wind energy is so much less than water energy. Nowhere was that more evident than in the case of hurricane Harvey, where nearly all the damage was from rain. Hurricane Irma was different. It had landfalls in the Caribbean as a category 5 hurricane. 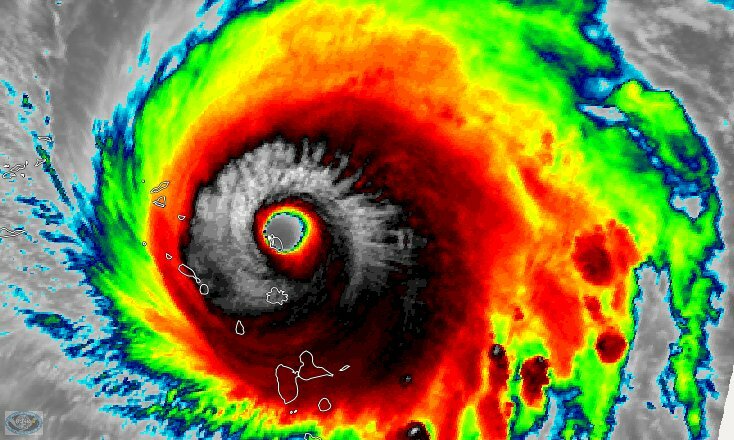 At landfall Irma generated about 8 million Megawatts of wind energy or more than twice as much as world wide electrical energy produced, and Irma made landfall on small islands in the Caribbean, on Cuba, the Florida Keys, near Naples, Florida and once more north of Tampa. The first landfall was on the little island of Barbuda,size 62 square miles. It has a population of 8000, the power of Irma killed one of the inhabitants and destroyed 90 percent of the buildings on the island. Irma did this using about one tenth of one percent of its wind energy! The Virgin Islands also got a direct hit and a dozen deaths occurred in the rest of the Caribbean. The situation i Cuba was much different. Irma entered Cuba with 155 mph winds, grazed the coastal archipelago, slowed down to 6 mph forward progress, briefly made landfall on the mainland and exited with 130 mph winds. This 72 hour Cuban visit claimed (so far) 10 lives in Cuba, Cuba absorbed maybe 30 percent of the wind energy from Irma, about 2.5 million Megawatts of wind energy during 72 hours, or about 180 million MWh, or about nine times more than the yearly power consumption in Cuba. This is a lot of energy, but it is dwarfed by the energy released in the condensation of the water vapor in the form of rain. This is about 800 million Megawatts, and continued in the case of Irma for 11 days, nearly all of it returning to the ocean from which it was fed. This is about 500 times the worldwide electrical energy produced, and since lasted 11 days, that is the equivalent of about 15 years of worldwide electrical production. Priced at 6 cents per kilowatt-hour this comes to about 12 trillion dollars worth of electricity if it could be harnessed, but instead it is destructive in its path, but usually beneficial in its periphery, since many of the islands it passes over depends on the rain from the hurricanes for its supply of fresh water. But that is not the only cooling Irma provided. When the Sun shines over water 90 percent of all the sun’s energy is absorbed. The hurricane cloud was large, up to 700 miles in diameter or 400,000 square miles. The sun’s rays has an incoming energy of about 400 Watts per square meter, and the clouds reflect about 90 percent of the sun’s rays back into space rather than getting absorbed in the ocean or over land. The cooling effect of the hurricane Irma from clouds was about 200 million megawatts during peak daytime, or about 1,200 million mWhours. This alone is more than sixty times the worldwide electricity production. Of course this all pales in comparison when one realizes the sun reaches us with 1,500 trillion Megawatt-hours of solar energy per day, so we are still talking of less than one millionth of the energy we receive from the sun.